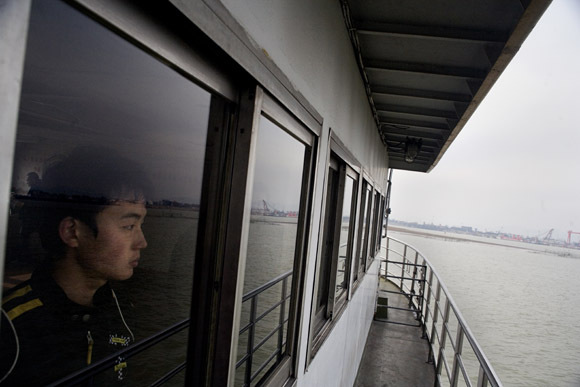 A man looks out a window while riding a small passenger ferry across the Yangtze River from Nanjing to Pukou, Jiangsu, China. 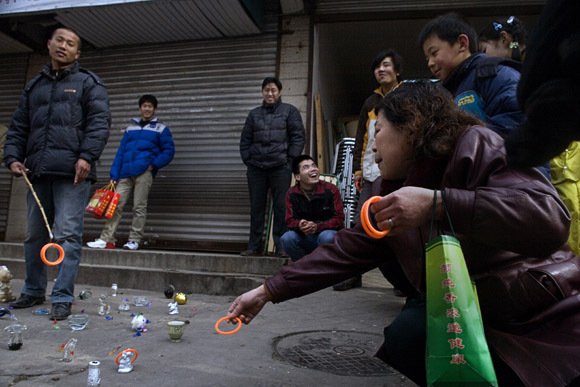 People play a ring-toss game in a Lunar New Year market in Pukou near Nanjing, Jiangsu, China. 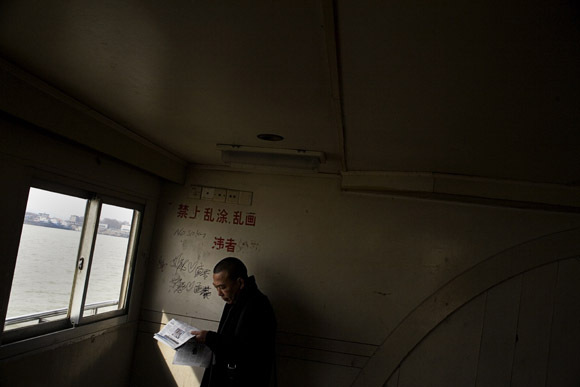 A man reads a newspaper while riding a small passenger ferry across the Yangtze River from Nanjing to Pukou, Jiangsu, China. Toy guns are for sale at a Lunar New Year market in Pukou near Nanjing, Jiangsu, China. 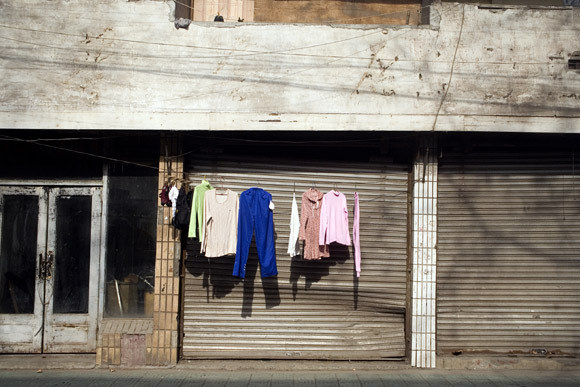 Laundry hangs on a line outside of a shuttered storefront in Pukou, a suburb across the Yangtze River from Nanjing, Jiangsu, China. 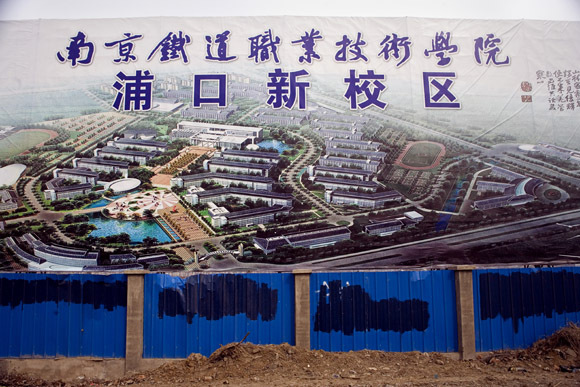 A large billboard displays an architect's rendering of a new development in Pukou, Jiangsu Province, China. 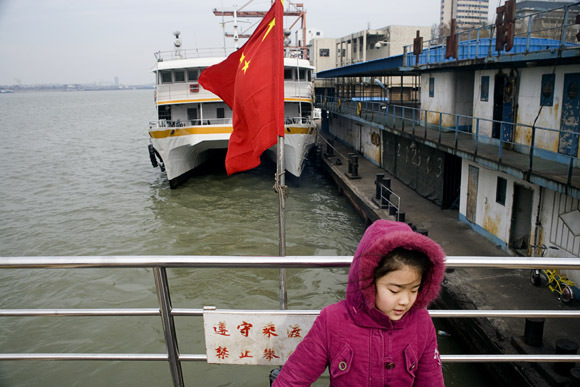 A girl rides a small passenger ferry across the Yangtze River from Nanjing to Pukou, Jiangsu, China. 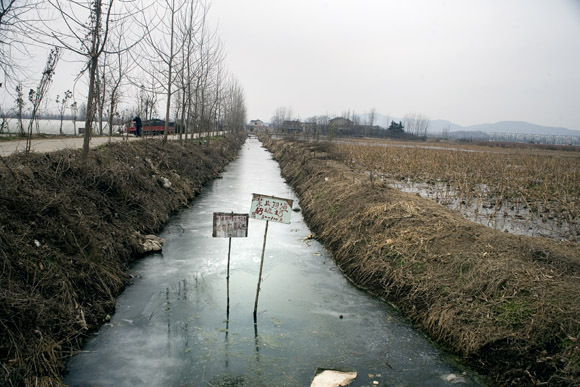 The Yangtze River is known as Changjiang or Chang Jiang in Mandarin Chinese. A few scenes from Pukou, a suburb of Nanjing, Jiangsu Province, China. Once the terminal point of an important early Chinese railway line, Pukou’s economy fell by the wayside when the first bridge to Nanjing over the Yangtze River was built in 1968.